The biggest challenge of bringing dead stars like Bob Marley and Prince to life in holograms may not be technological, but legal . “There are a lot of legal issues involved in bringing back dead celebrities — it’s been very, very complicated,” Bonnie Eskenazi, Entertainment Partner at Greenberg Glusker Fields Claman & Machtinger, said Tuesday at TheGrill conference at the Montage Beverly Hills. “Holograms and bringing back dead celebrities to live with us and be present with us is something that’s all over the news,” said Eskenazi, who is currently working on an open case with the Marley estate for a hologram of the late reggae star. Fellow panelist Lindsay Conner, partner and Chair in the Media and Entertainment Group at Manatt, Phelps & Phillip, took things a step further and said that markets like China are much more equipped to release something like a hologram — something the U.S. is only just finding legal language for. Eskenazi is already ahead of him — just wait until the hologram comes to your house. 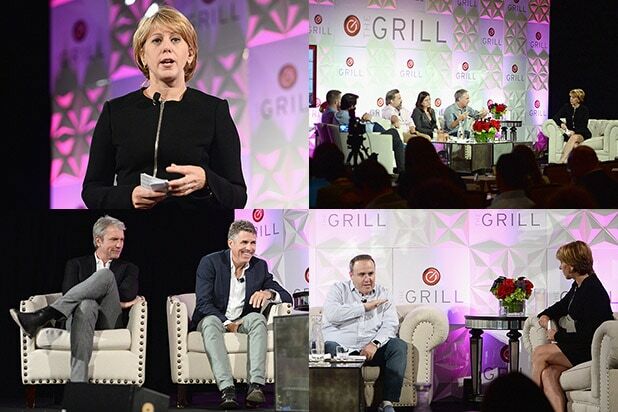 TheGrill 2016 welcomed a panel of such legal aces to discuss the increasingly nebulous task of structuring deals for talent, studios and other creatives as companies begin to disseminate content across more platforms than ever before. Eskenazi and Conner were also joined by Nina Shaw, partner at Del Shaw Moonves Tanaka Finkelstein & Lezcano, Schuyler Moore, partner at Stroock & Stroock & Lavan, and Susan Zuckerman Williams, partner at Loeb & Loeb.